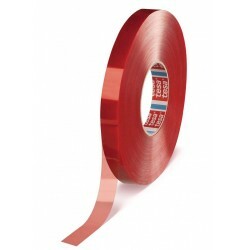 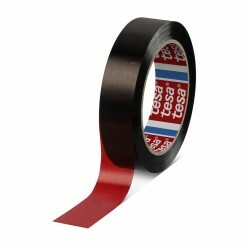 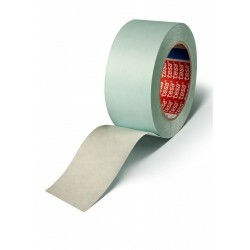 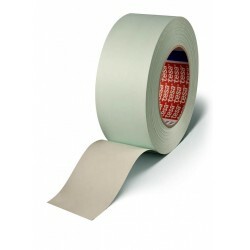 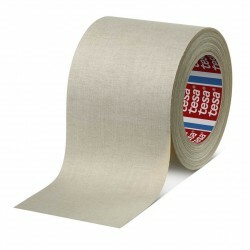 Tesa 4154 is a filmic masking tape to be used to mask glass and metal during etching. 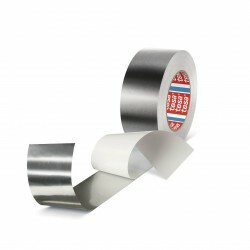 Tesa 4156 is a speciality tape designed for film and negative masking. 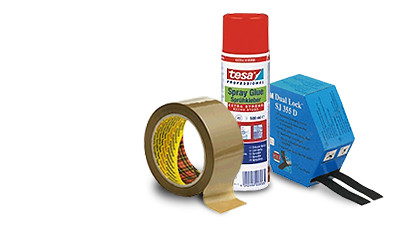 Tesa 4441 is a single sided repulpable splicing tape without liner consisting of an internally creped paper and a modified water soluble acrylic adhesive. 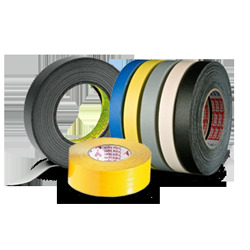 Tesa 4445 is a single sided repulpable splicing tape without liner consisting of a flat-back paper and a modified water soluble acrylic adhesive. 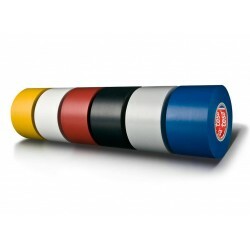 Silicone rubber coated rayon fabric with smooth non slip surface used for covering rollers on conveyers etc. 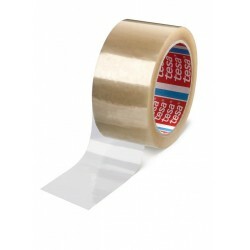 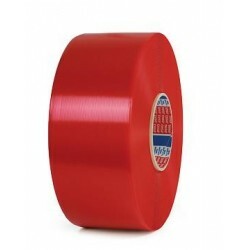 Tesa 4600 is a strong self-amalgamating tape in form of silicone that bonds without adhesive. 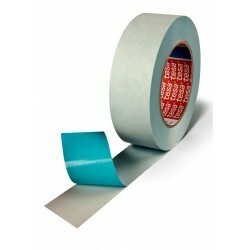 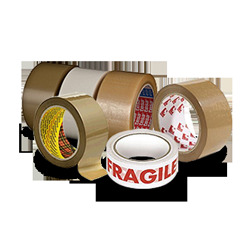 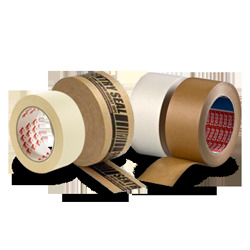 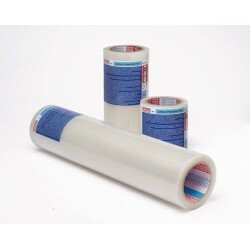 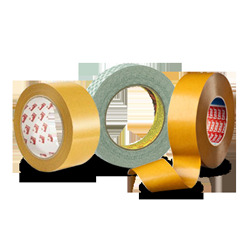 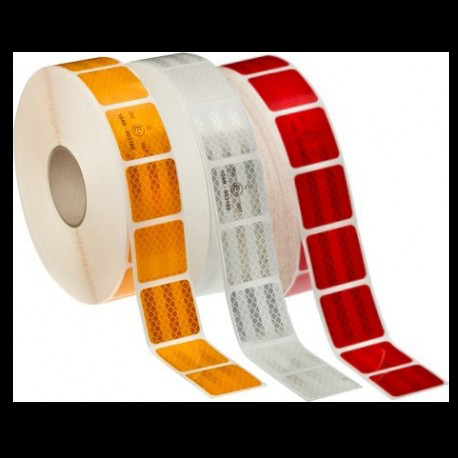 Tesa 4668 is a polyethylene tape based on a transparent 110µm PE film and an acrylic adhesive. 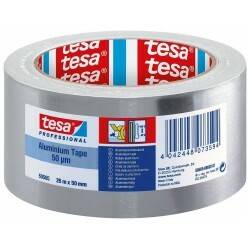 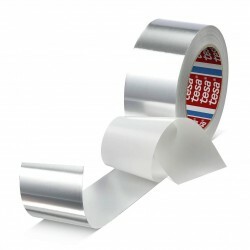 Tesa 50575 is a nuclear power station certified very strong aluminium tape with liner (PV1), based on a 80um aluminium foil and an acrylic adhesive. 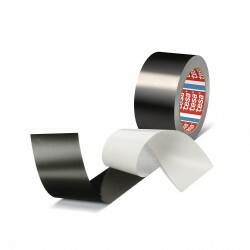 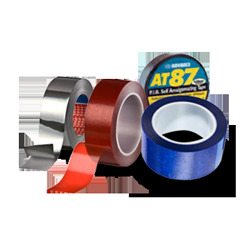 Tesa 50577 is a strong aluminium tape, based on a black 50μm aluminium foil and a black acrylic adhesive. 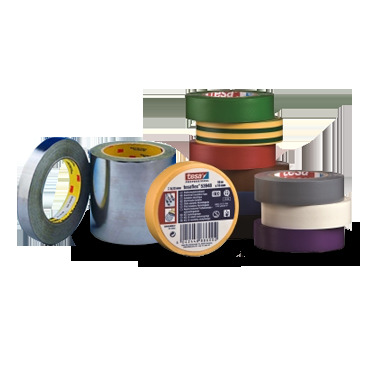 Tesa 51444 is a single sided repulpable splicing tape with liner consisting of a flat back paper and a modified water soluble acrylic adhesive. 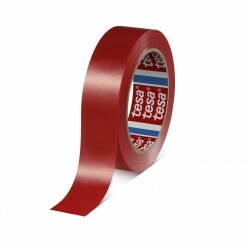 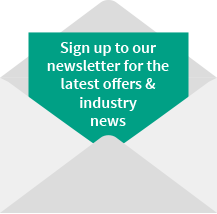 Tesa 51230 is a self adhesive tensilised polypropylene tear strip with a synthetic rubber adhesive system.